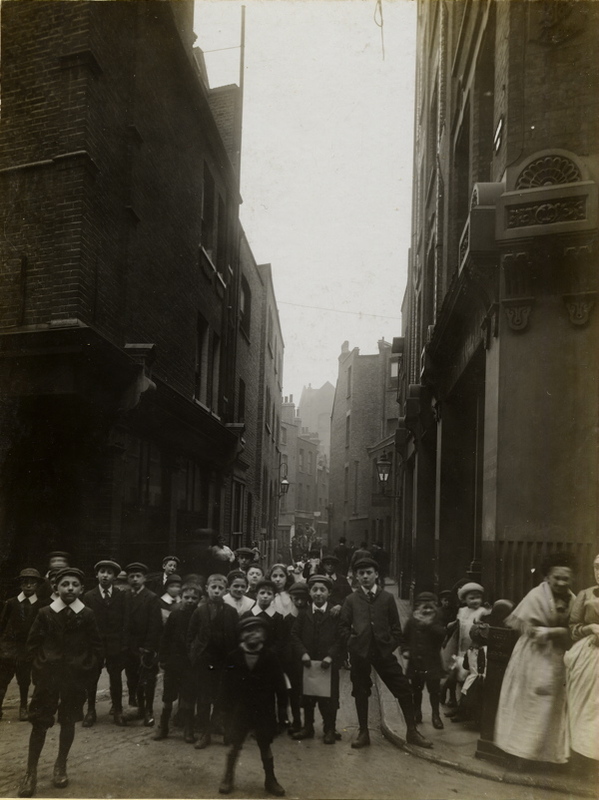 Please come along and raise a glass next Thursday 20th September at 6:30pm to celebrate the first exhibition of the pictures by the enigmatic photographer C.A.MATHEW, taken in the streets of Spitalfields in 1912. 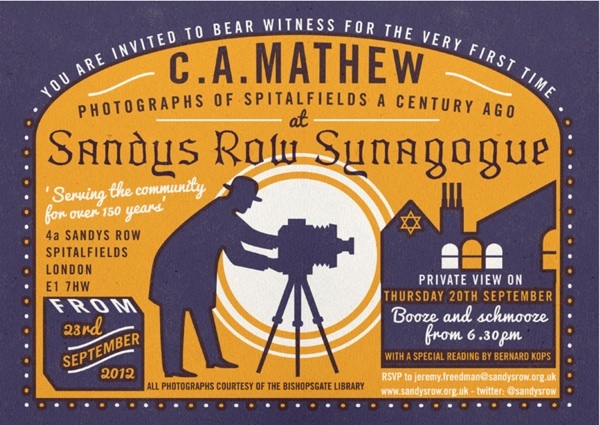 The photographs from the Bishopsgate Collection are being exhibited at Sandys Row and this is an ideal opportunity to visit London’s oldest Ashkenazi Synagogue – occupying a building which has existed as a place of worship for two hundred and fifty years, first built as a Huguenot Chapel in 1766. 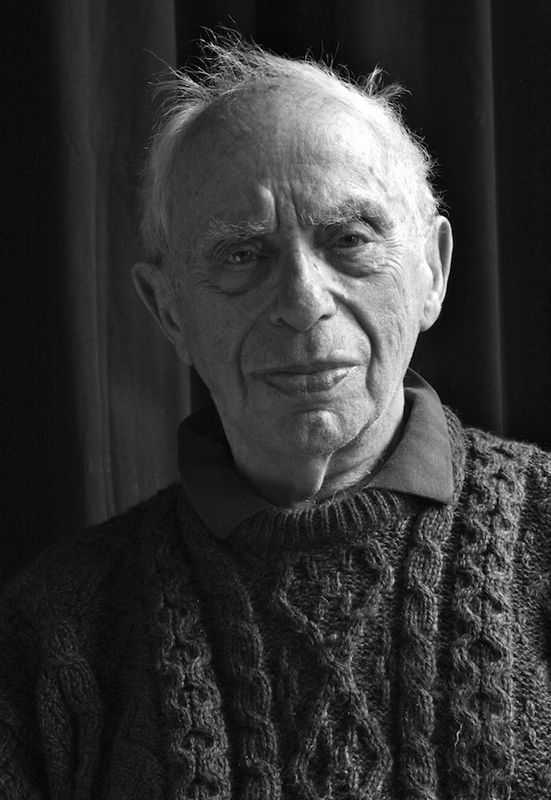 Additionally, making a rare public appearance, the distinguished poet of the East End, Bernard Kops, will read a poem he has written for the occasion. 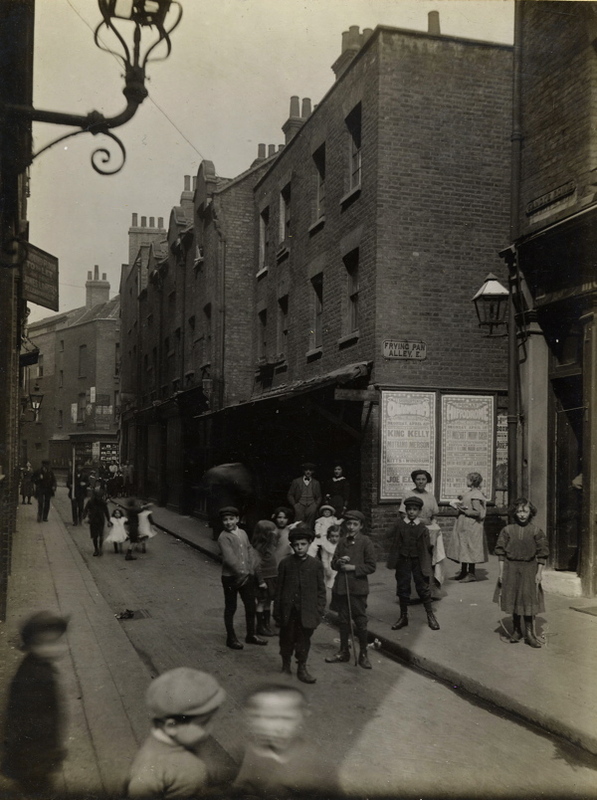 Sandys Row looking from the northern end – note the horse and cart approaching. 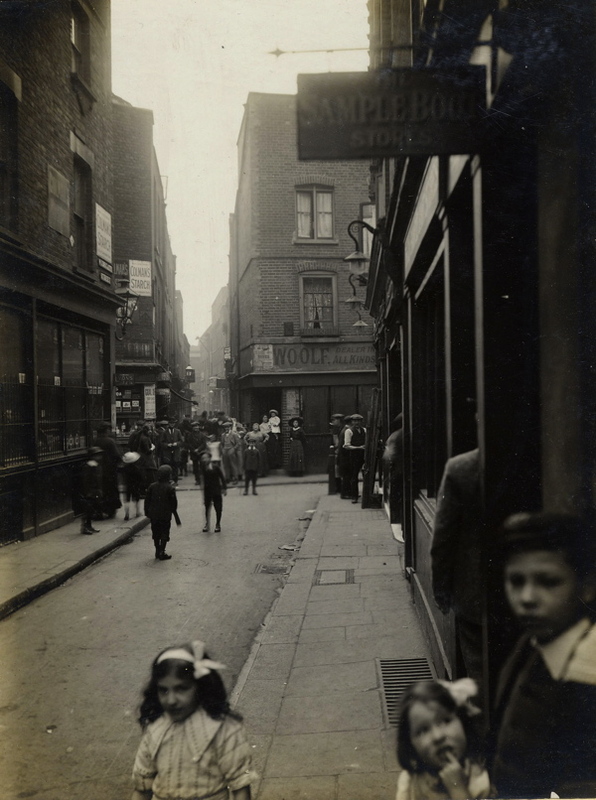 Sandys Row looking from the southern end with Frying Pan Alley on the right. Widegate St looking towards Sandys Row. I would have loved to have attended on Thursday 20th but cannot. Does anyone know how long the exhibition is on for? I am an Australian visiting London. I know this synagogue very well, have been here for services in the past. My family lived close by in the 1870′s. Hope to be there to see this exhibition.